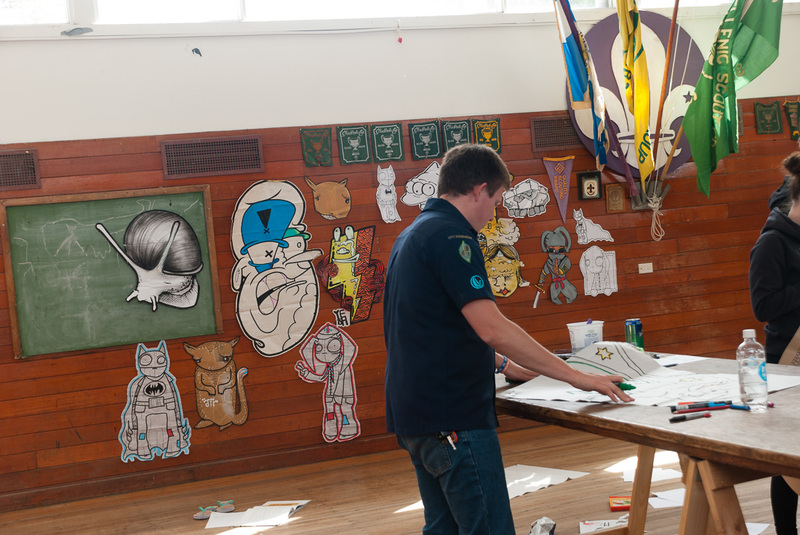 Big Day Scout was held in Melbourne on 15 February 2015. 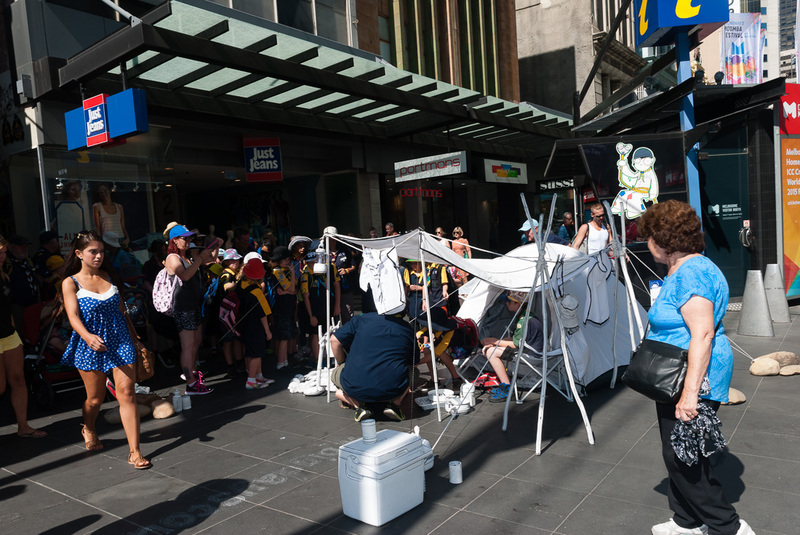 Around 10,000 Scouts arrived at Federation Sqaure in Melbourne to participate in a wide game, like a scavenger hunt, around the CBD. 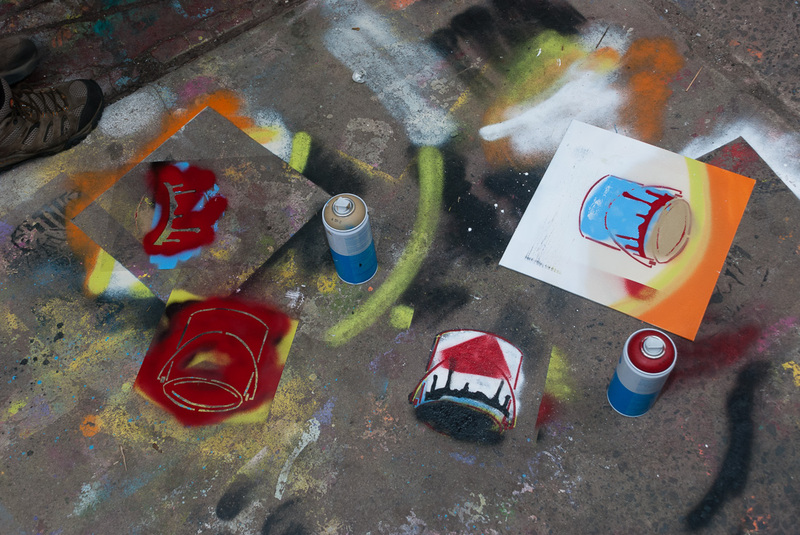 The objects to find? 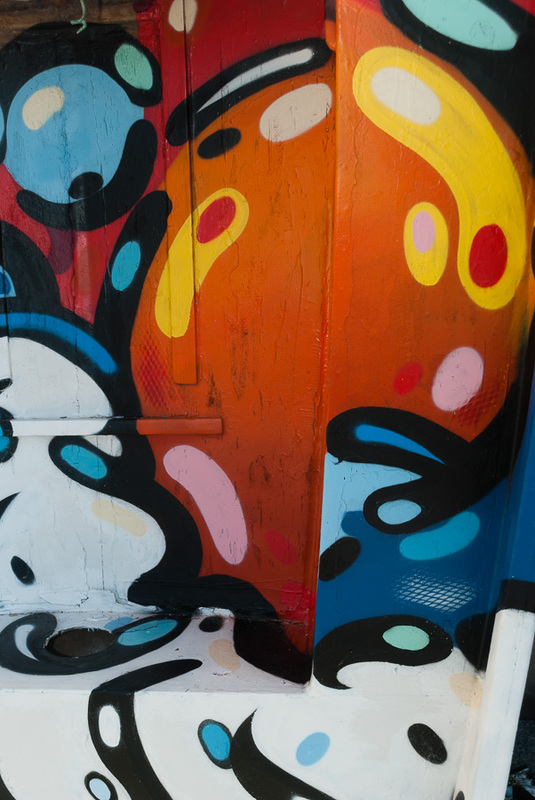 Street art, installations and canvases that were made for the event. 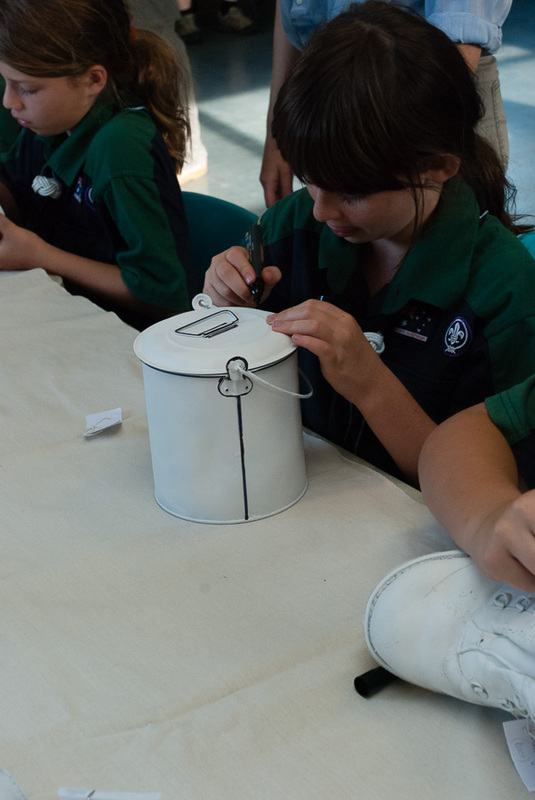 When finished the Scouts then headed to the Sidney Myer Music Bowl for a concert and activities. 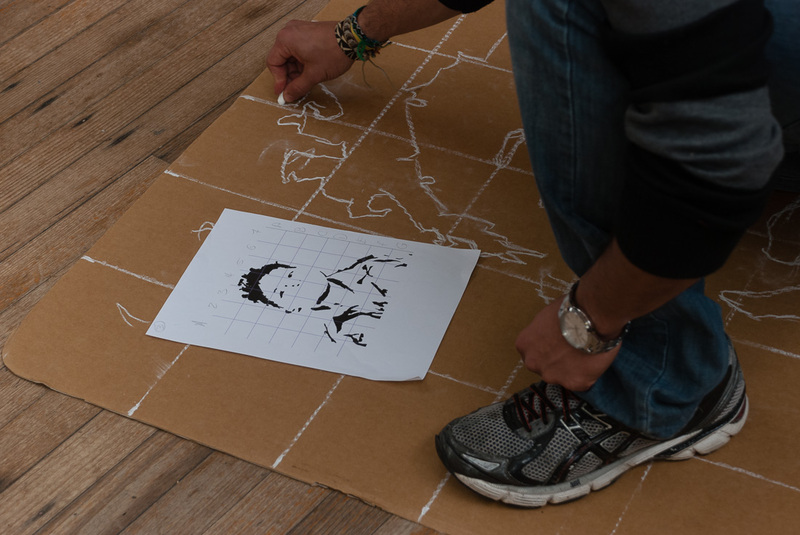 My role was to coordinate the artwork for the wide game. 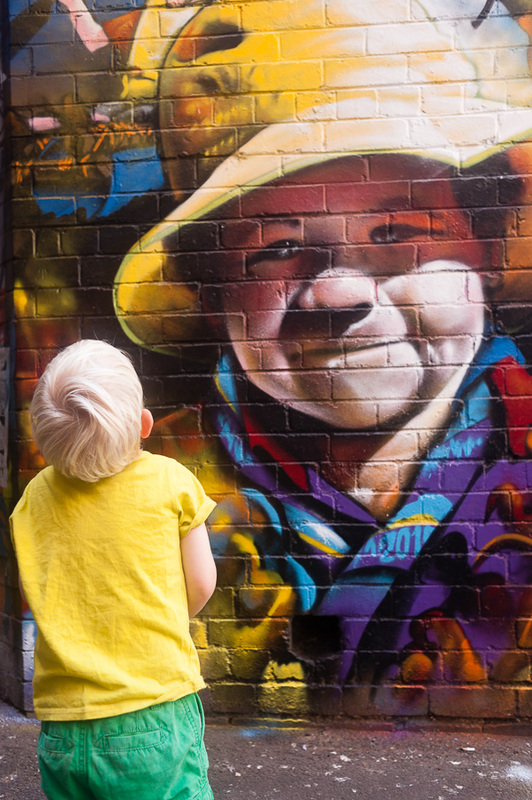 I had 17 locations, some of which I found, and a brief to make fun, colourful works that reflect Scouting today. 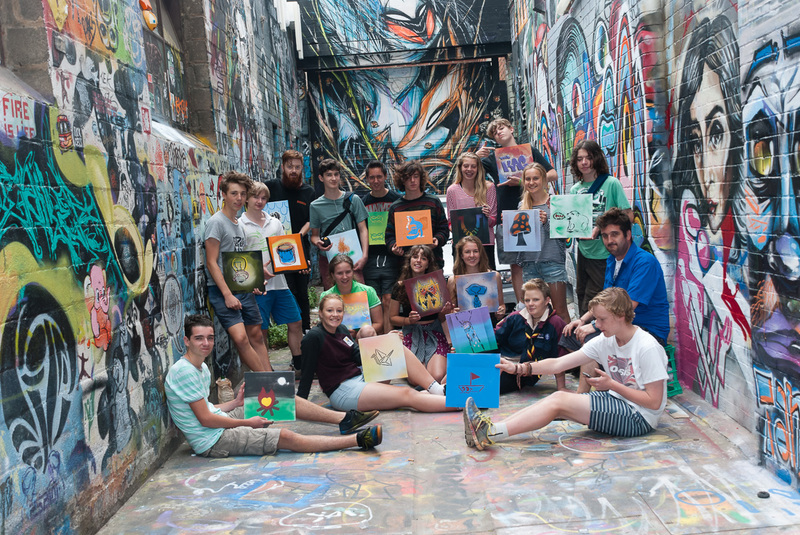 I also needed to ensure that youth members helped to create each piece. 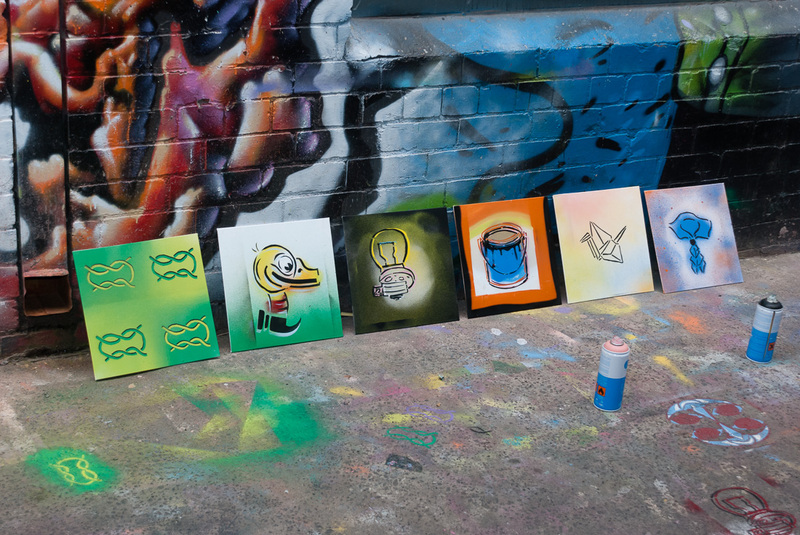 Together with eight artists we created some amazing works for the day. 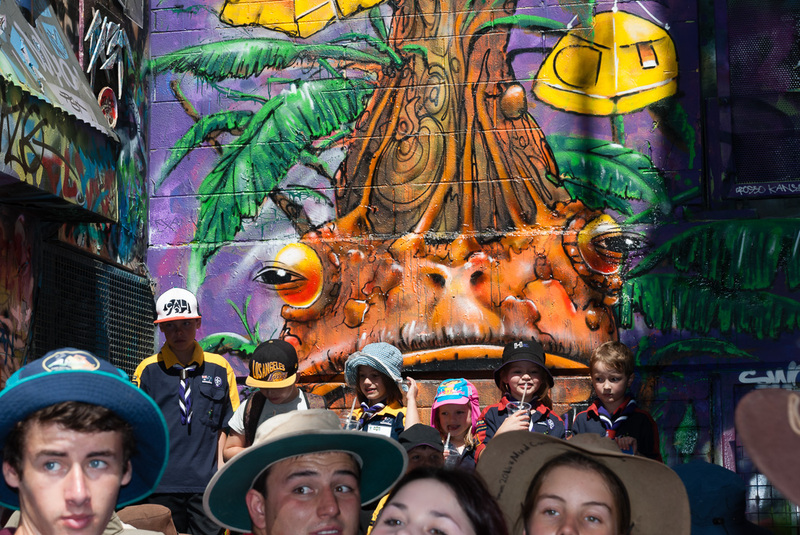 These works helped make Big Day Scout an incredible event for Scouts Victoria. 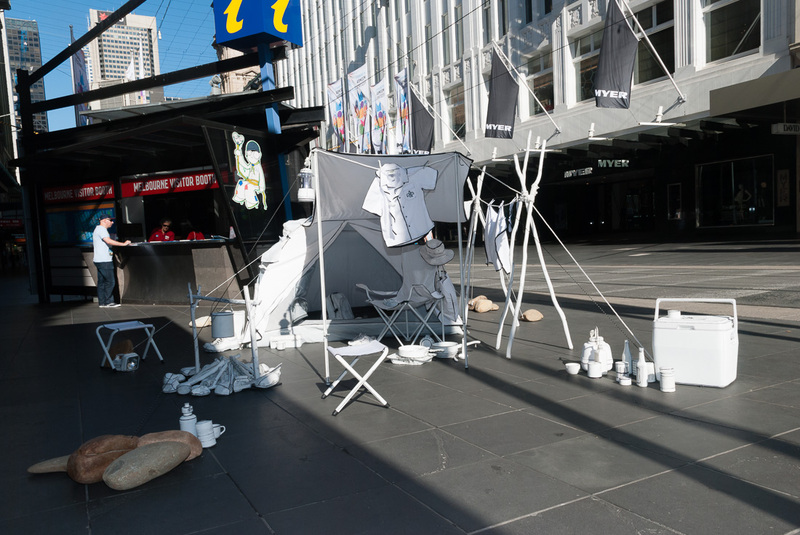 It managed to be the number one trend on Facebook, Twitter and Instagram on the day of the event. 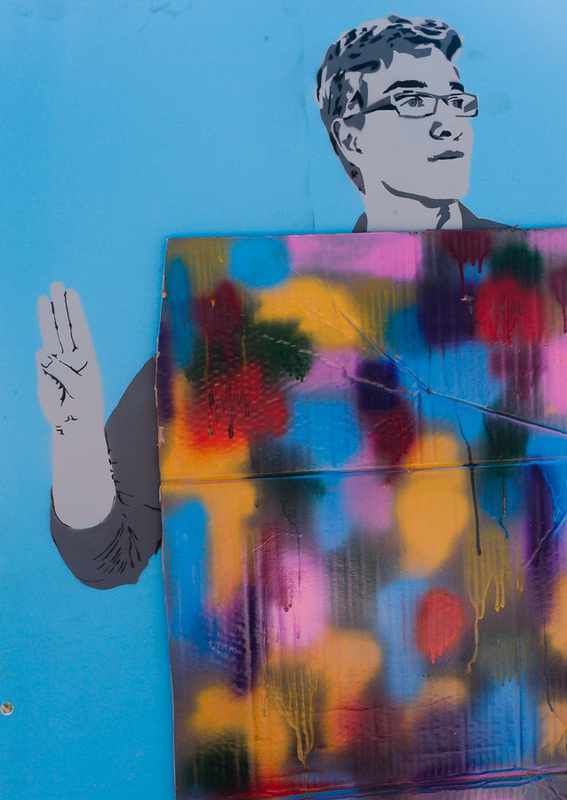 ‘Selfies’ with the artworks flooded social media. 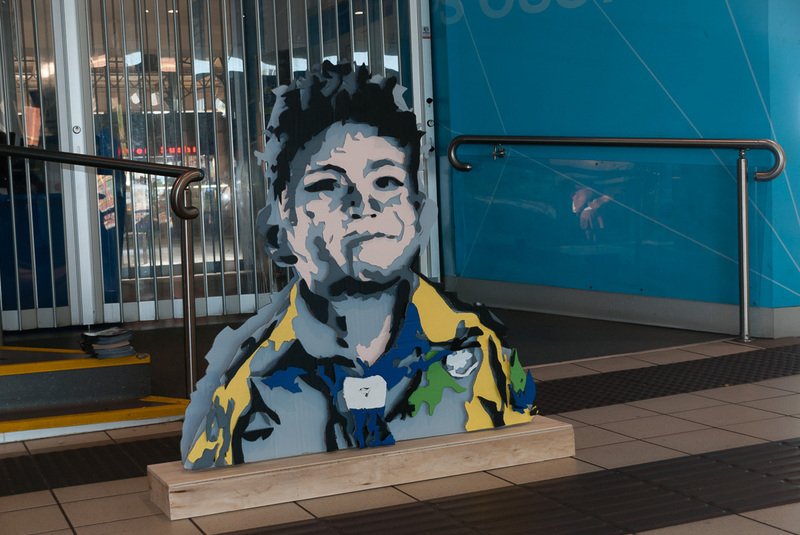 On arrival at Flinders Street station, Scouts were greeted by a 3D installation of a youth member. 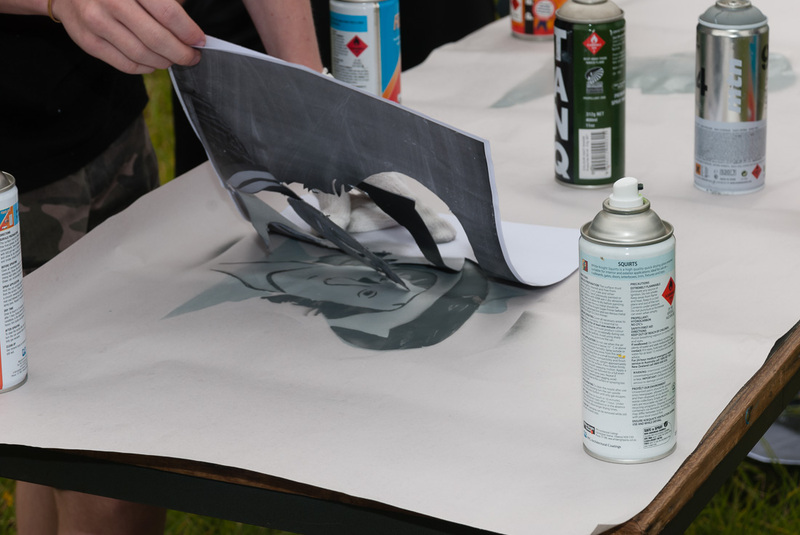 This was created by Julian Clavijo with youth members on a weekend workshop prior to the event. 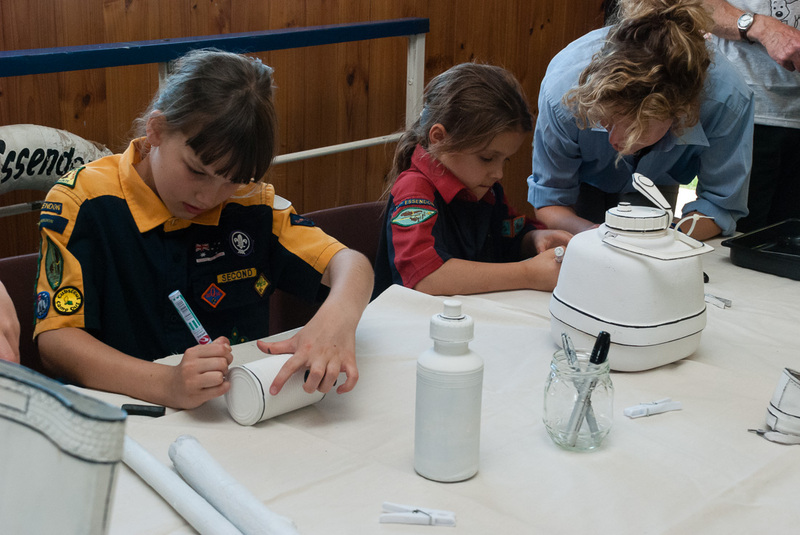 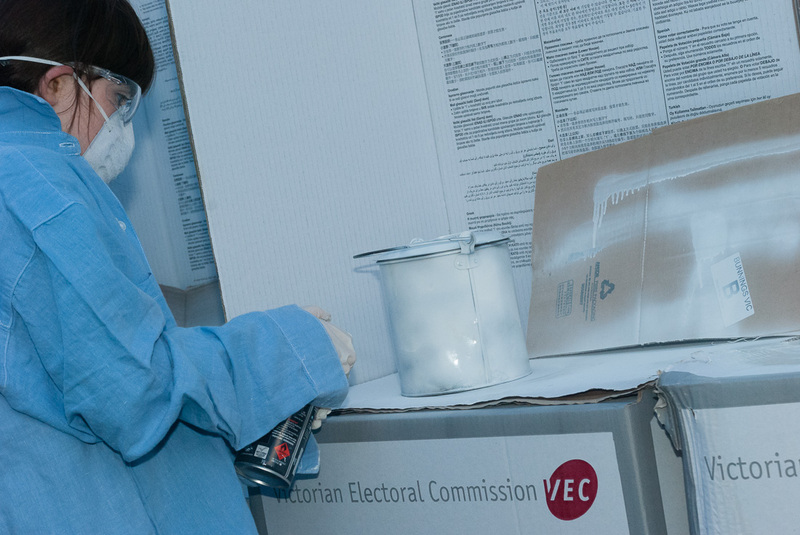 Georgina Humphries ‘scoutified’ her sketched tent installation with the help of 15th Essendon Scouts. 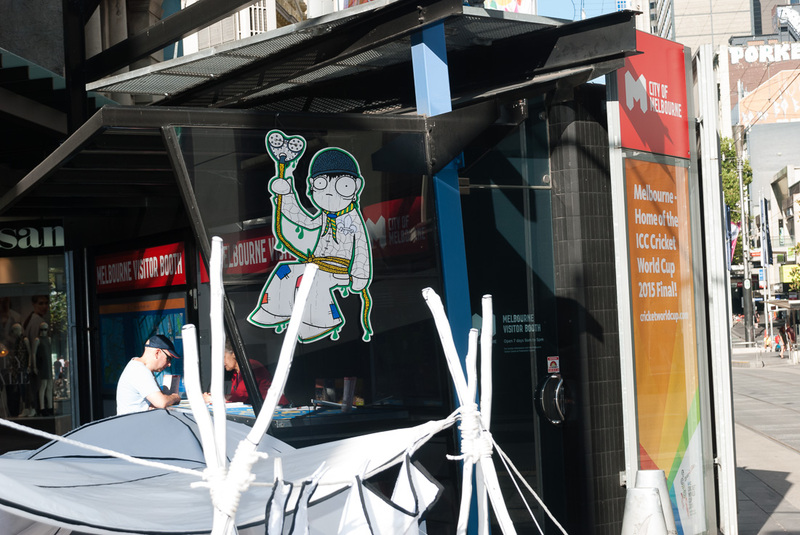 This was placed in Bourke St Mall for the day and had a guest appearance of an abseiler by Lifetime. 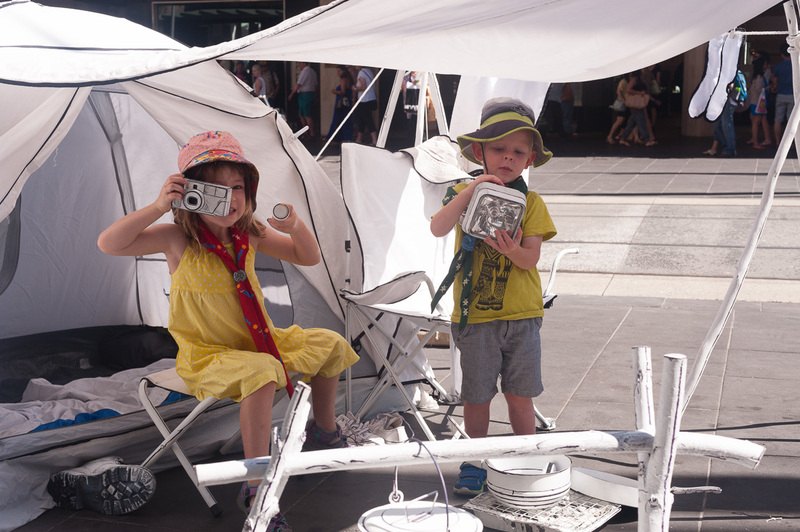 Lifetimes works also featured at Larry Latrobe in City Square and ArtPlay. 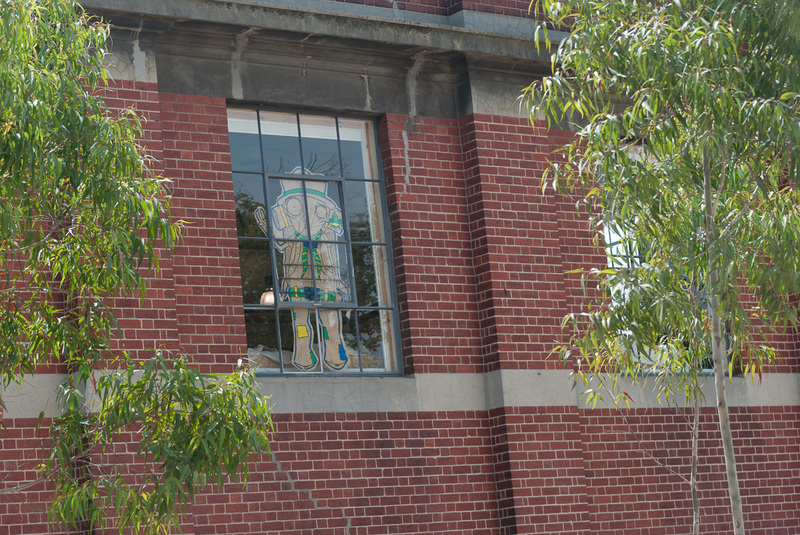 Lifetime conducted a weekend workshop with youth members to produce ‘paste ups’ to be located in the windows and around the playspace of ArtPlay for Cubs and Joeys to find. 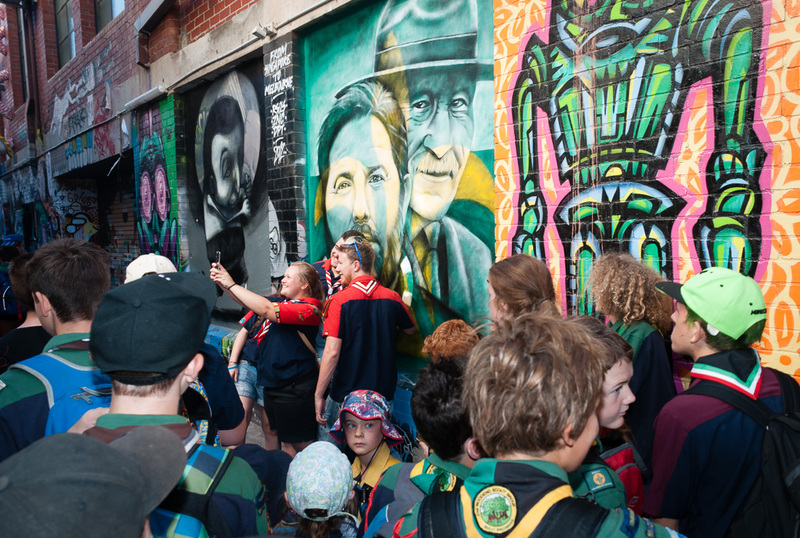 Maha created an incredible piece depicting Shane Jacobson, the new Chief Scout of Victoria with Lord Baden Powell. 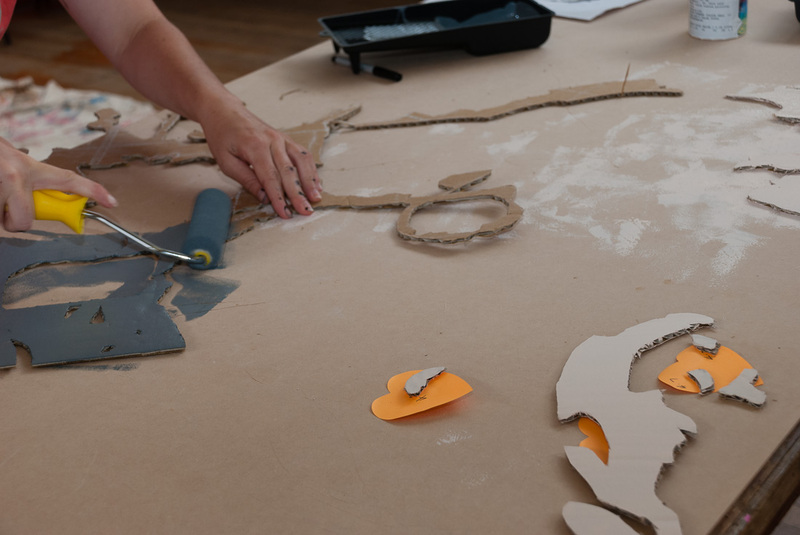 This was created over a weekend workshop held with Blender Studios. 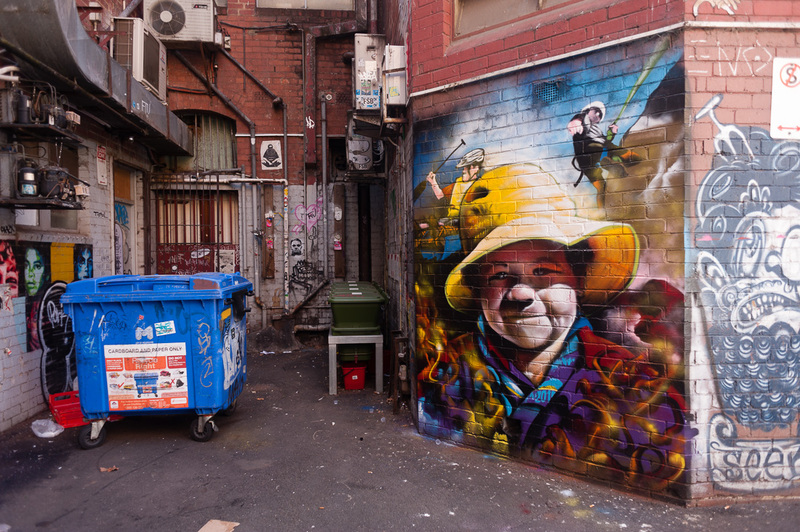 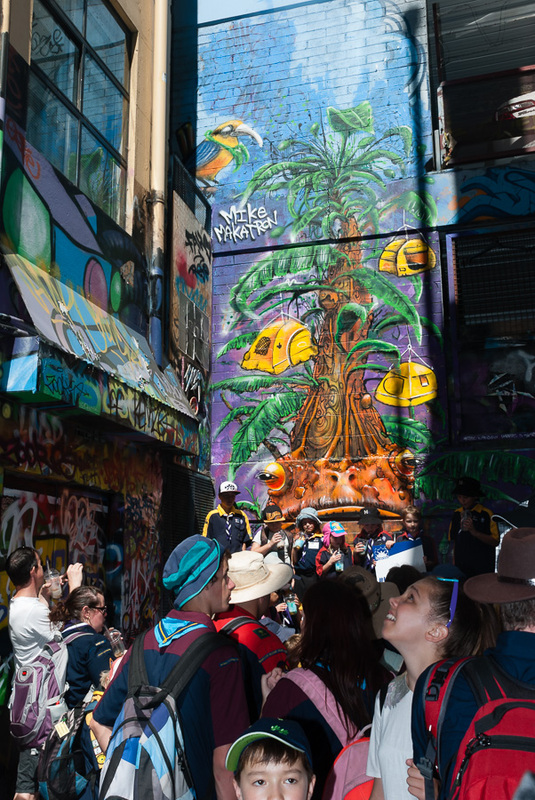 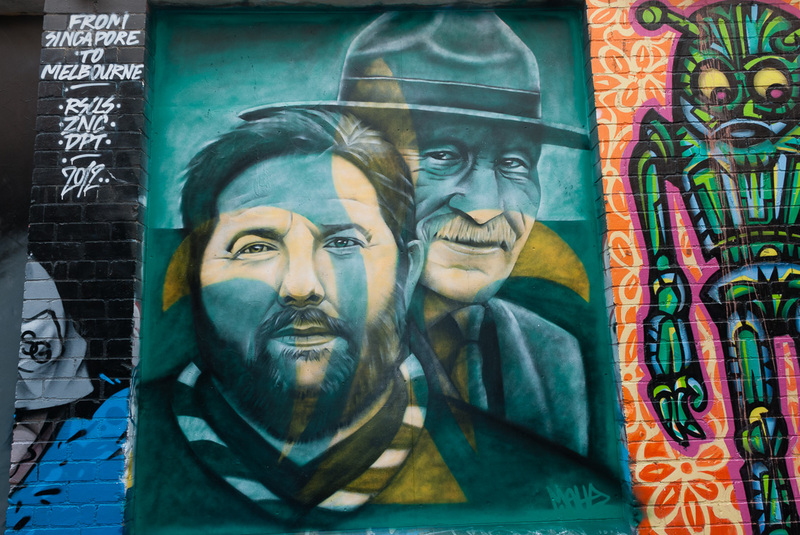 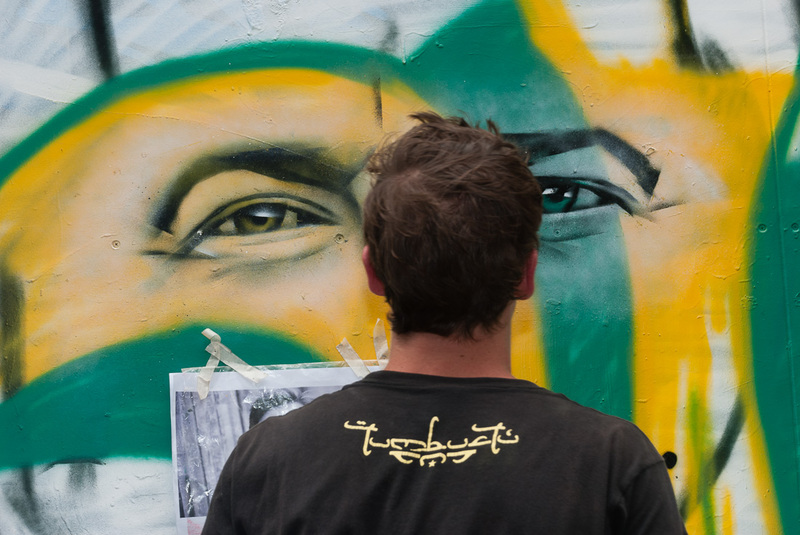 Blender also hooked us up with Makatron and Heesco to create some outstanding murals for lanes of Melbourne on the day. 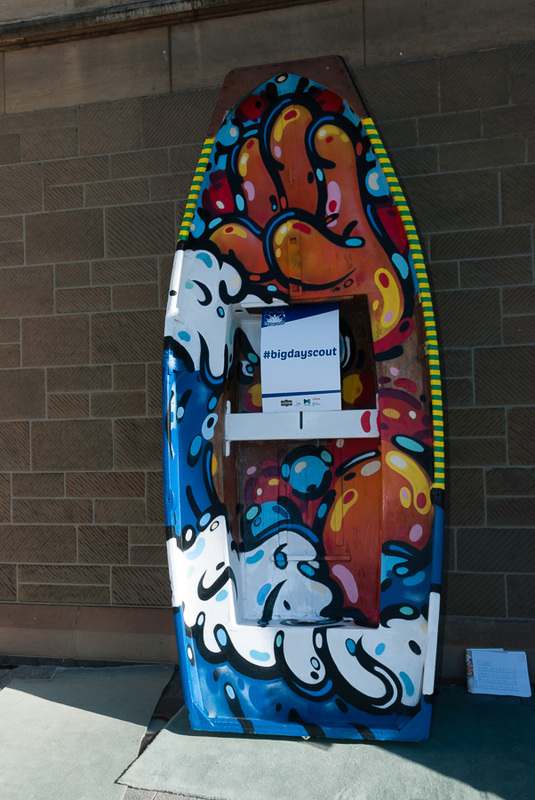 Darcy from Blender also painted a boat for the event. 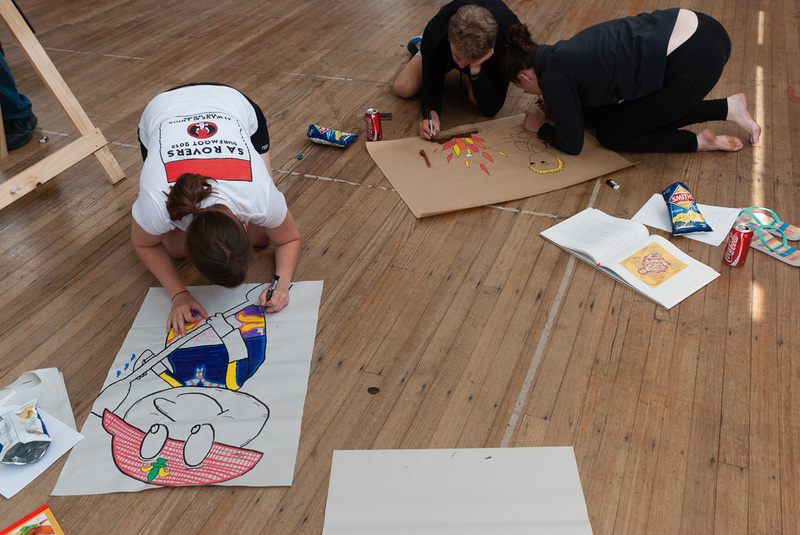 All these images were inspired by youth members during the workshop. 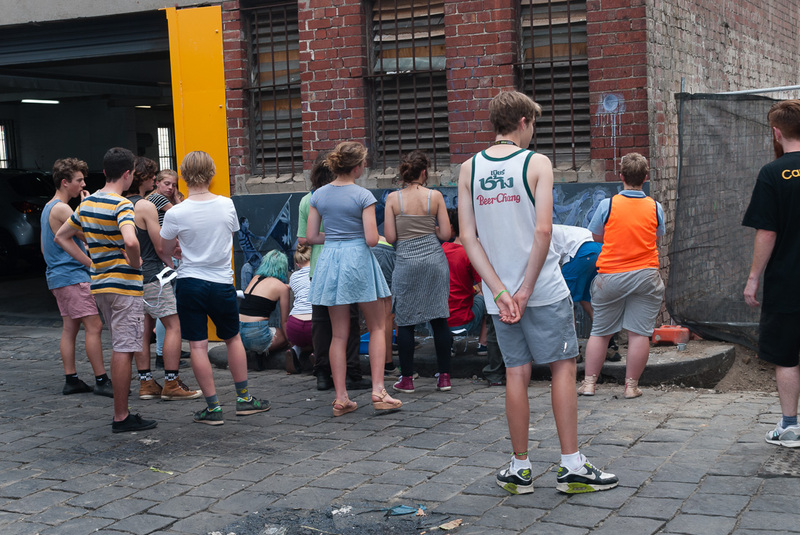 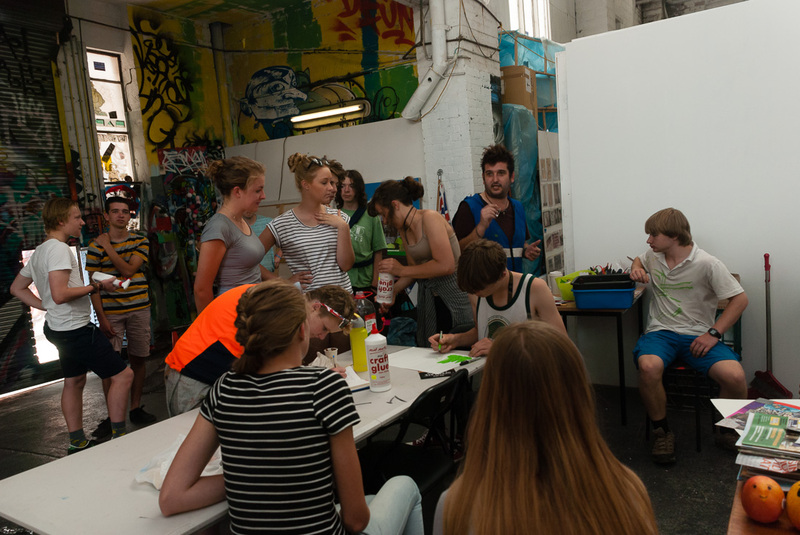 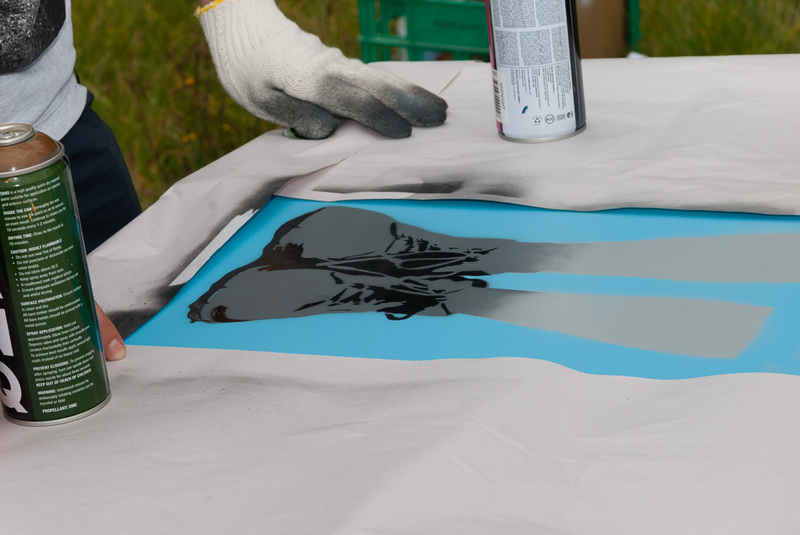 During the workshop at Blender, Darcy also guided youth members though a stencil workshop creating canvases for the day. 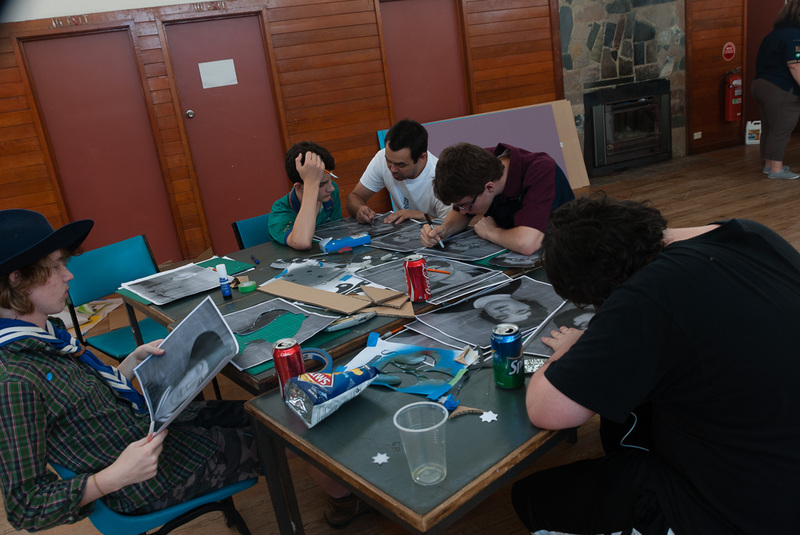 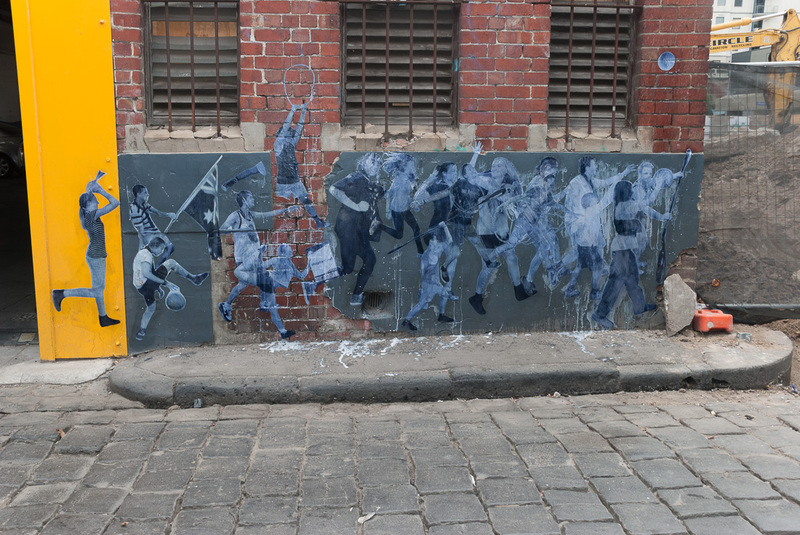 Darcy also held a paste up workshop using photographs of participants. 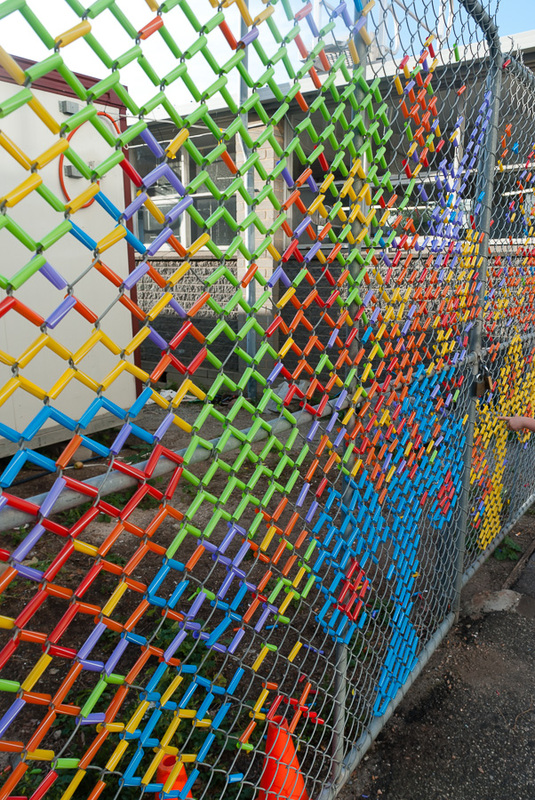 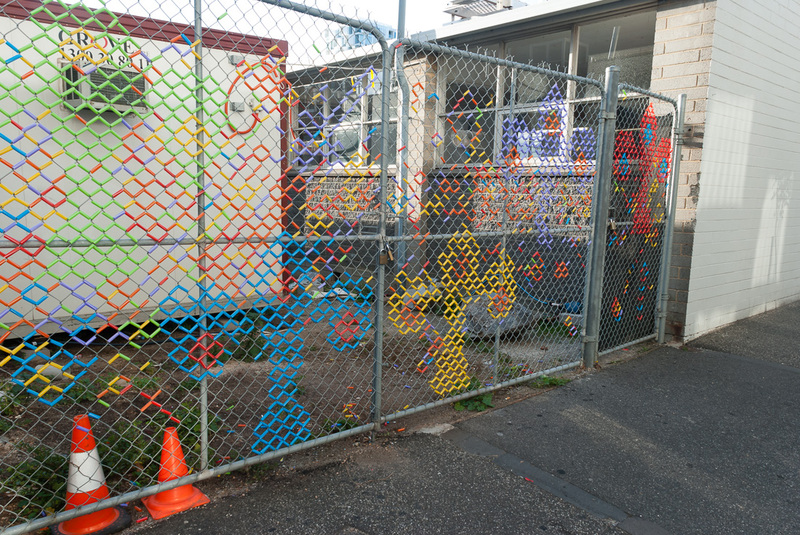 I created an interactive straw work on a fence near the School of Public Art at RMIT. 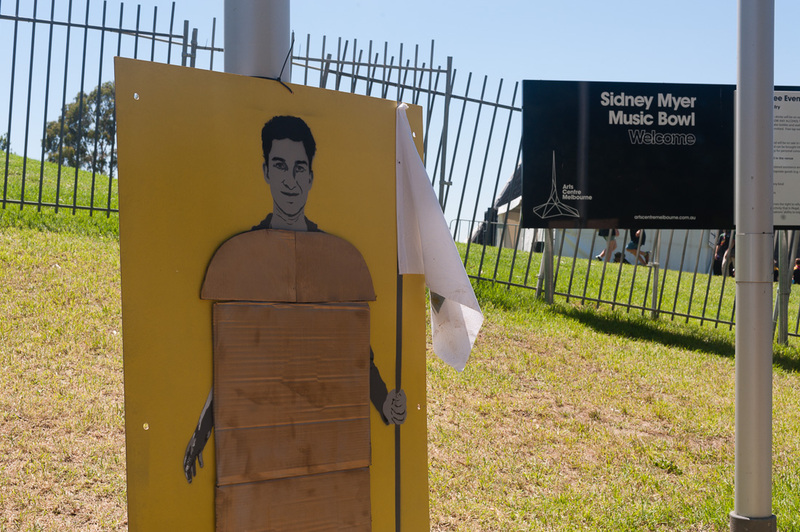 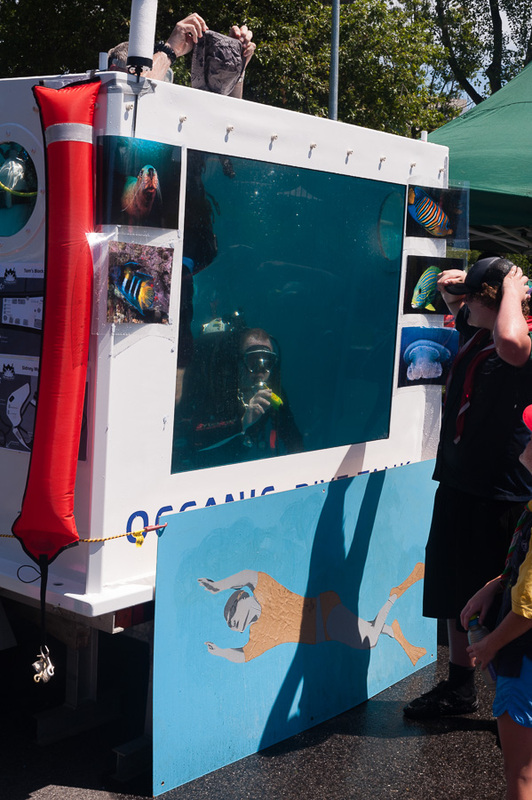 And CALM held workshops to create cardboard adventurers to greet people as they arrived at Sidney Myer Music Bowl for the afternoon’s events. 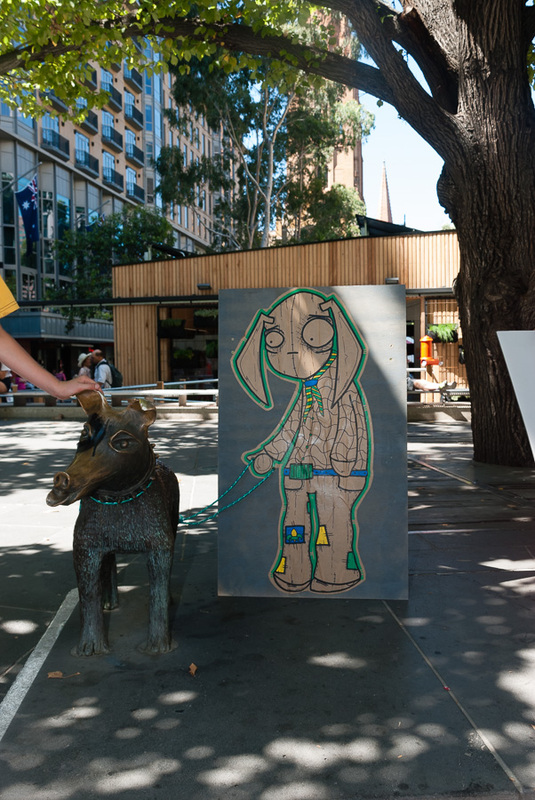 A huge shout out to the artists, Scouts, Scouts Victoria, Blender Studios, ArtPlay, the School of Public Art RMIT and the Chinese Museum for making the art part of Big Day Scout such a huge success.